Born in Virginia, Lindsay Nolting studied drawing and painting as a teenager in Paris. Later, at the Art Students’ League of New York, her principle teacher was Theodoros Stamos, the youngest of the first generation Abstract Expressionists. During the 1960s, Nolting lived alternately in New York and Paris, painting abstractions. 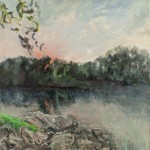 At the end of the decade, landscape references surfaced, unbidden, in her paintings. She returned to Virginia, and bought an old house in Fluvanna County in 1972. 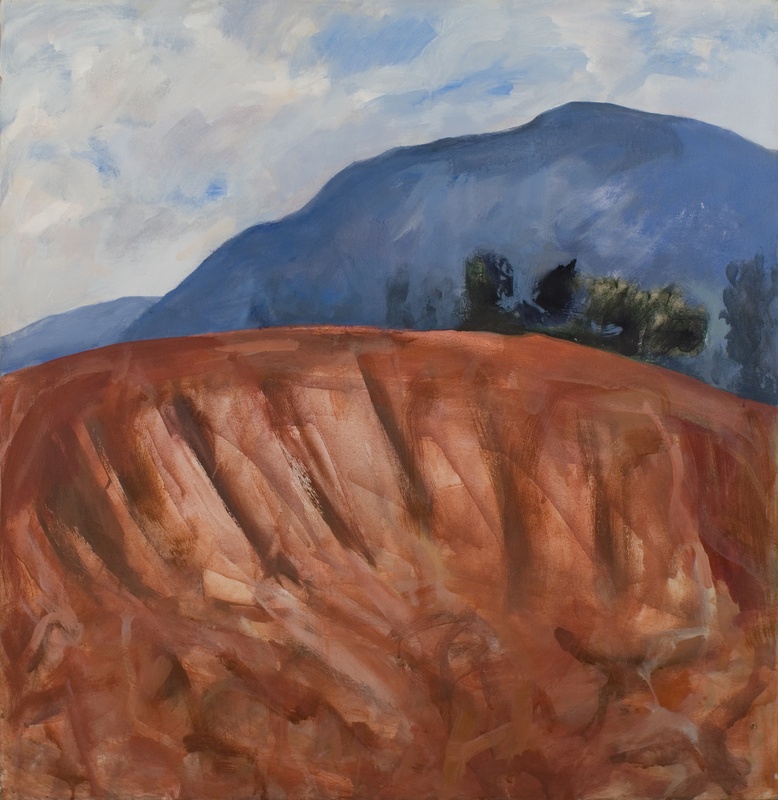 Since then her paintings, begun outdoors, kick off, more often than not, from the red dirt, blue hills, and changing rivers of the Virginia Piedmont. Nolting was on the initial roster of artists at the Marché Expérimental d’Art Contemporain, established at the Paris Flea Market in 1968, and was for twenty years a member of the Abingdon Square Painters, Inc., an artist-run co-op in New York. In the 1970s, in Charlottesville, Virginia, she helped establish Second Street Gallery, Inc., serving on the executive board during that organization’s first five years. In 1975, as Second Street Gallery’s president, she joined a City-appointed task force to determine the feasibility of converting a former elementary school building into the complex of artists’ work spaces now known as the McGuffey Art Center. A Fellow of the Virginia Center for the Creative Arts from the start, Nolting was selected for an international VCCA residency in Auvillar, France in June, 2005. The Virginia Museum of Fine Arts, the Virginia Commission for the Arts, and Target have supported her lectures and workshops. 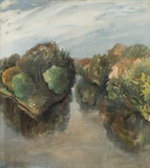 Having lived and worked in the country for much of her life, Nolting sees participation in juried shows (as exhibitor, administrator, or juror) as a means to connect to a wider professional world. Over the years, her paintings have appeared in regional and national shows jurored by Lawrence Alloway, Dennis Barrie, Bernard Chaet, Grace Hartigan, Kynaston McShine, Mary Miss, Alice Neel, Peter Plagens, and many others.